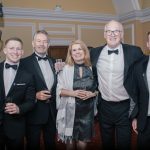 A grand dinner was held at Cardiff City Hall on Friday 22nd March in aid of Prostate Cymru, the leading prostate health charity in Wales supporting men with benign prostate disease and prostate cancer. 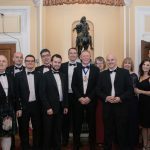 The dinner was the final fundraising event organised by Simon Marriott as his year as President of the Insurance Institute of Cardiff comes to an end. 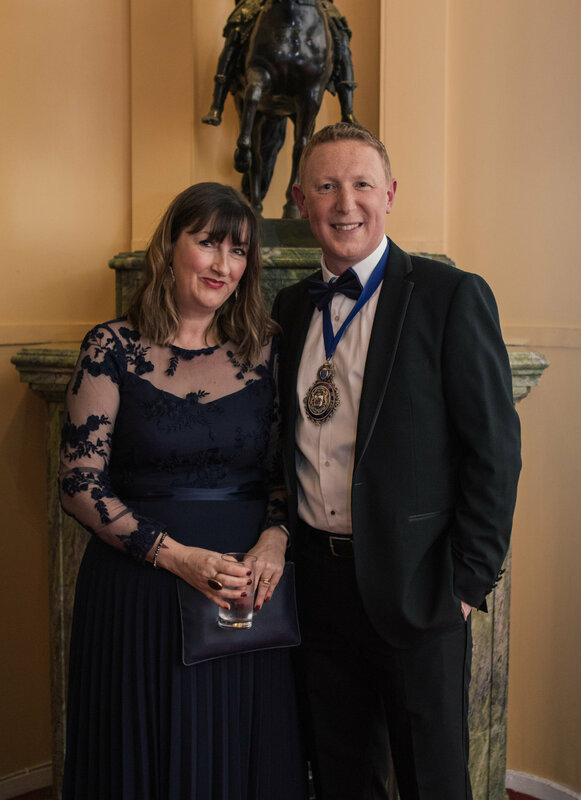 Simon was elected as the President of the Insurance Institute of Cardiff in May 2018. 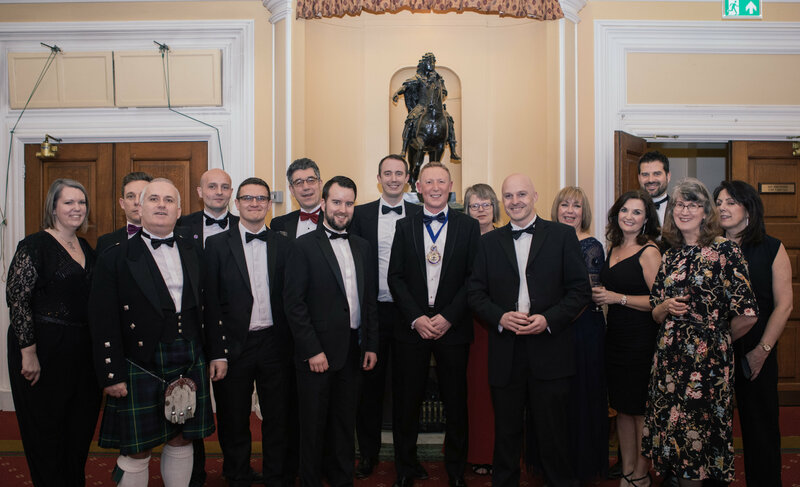 The group are a regional branch of the Chartered Insurance Institute, a professional body dedicated to building public trust in insurance. 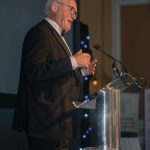 He chose to support Prostate Cymru following his diagnosis with prostate cancer at the age of 44. Simon is passionate about raising awareness of the disease and has joined the charity’s awareness team to share his own personal experience. 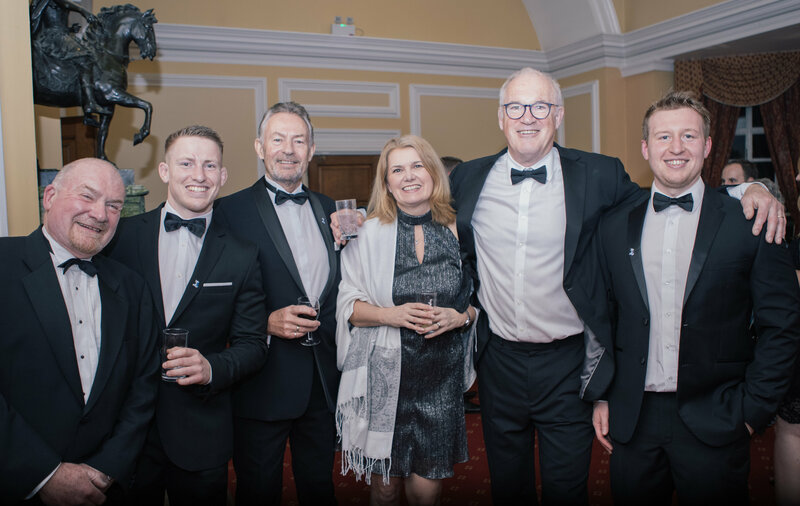 The dinner was the latest of Simon’s fundraising events, having already held a charity golf day, a champagne and strawberries lunch and completed a skydive! 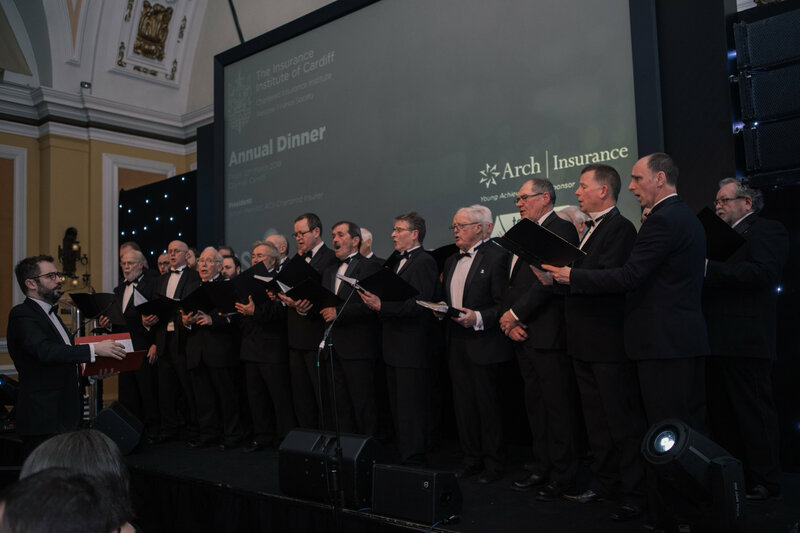 Welsh language choir Cor Meibion Taf, who have also previously fundraised for the charity, performed as guests entered the main hall. 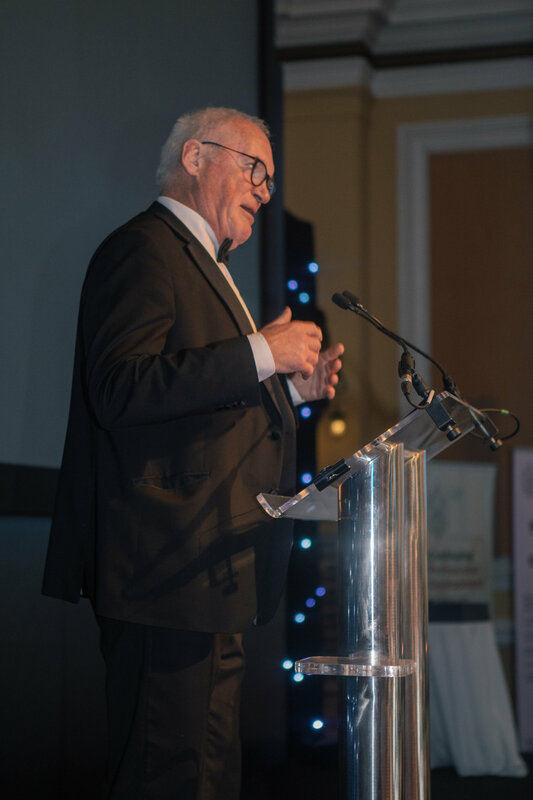 As the evening got under way there were toasts led by Simon Marriott and speeches by Prostate Cymru’s Head of Awareness Dai John and Prostate Cymru ambassador Eddie Butler who was guest of honour. Dai John also stepped in to help with the successful auction which raised around £1000. 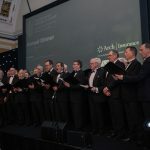 The auction featured prizes such as a giant British and Irish Lions rugby ball signed by the Welsh Rugby management team and signed drawings of Warren Gatland, Gareth Bale and Geraint Thomas kindly produced and donated by keen supporter of the charity Tim Driscoll.